If you have ever been interested in the world of voice this helpful guide is a must ingredient in your recipe for success. 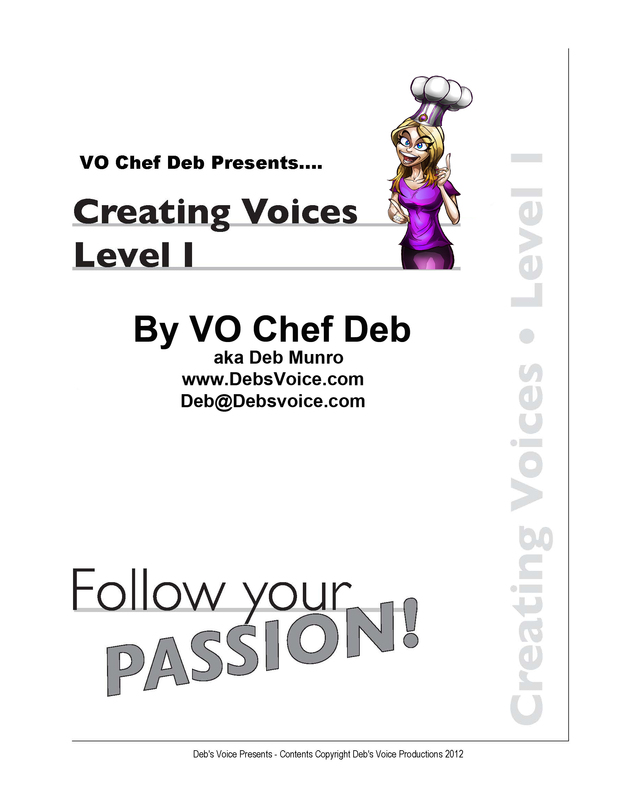 VO Chef Deb will help you learn the type of voice work available, the numerous styles of reads, analyzing the scripts to find out how to bring them to life, studio tips, references and much, much more! Purchase from the Amazon.Com Store now!